Ask anyone who’s ever gone away to college and they’ll agree — a good dorm mattress topper is never a bad investment. Whether you need to crash after a long night of studying or you get a chance to nap between classes, you must be able to sleep comfortably in order to succeed in school. Find out how this dorm mattress topper helps you get the rest you need to feel and do your best. What’s Different About Our Dorm Mattress Topper? There are a lot of options when it comes to mattress pads, but we made DormTopper specifically with college kids in mind. The right size. 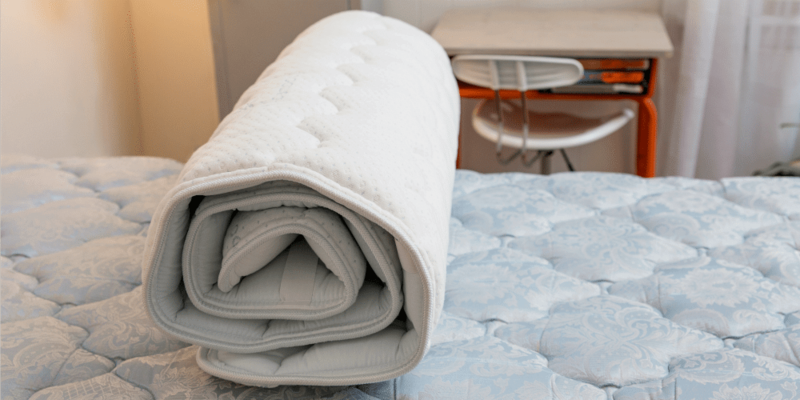 In most dorms, you’ll need a mattress topper for a twin xl bed. When you order DormTopper, you’ll get a mattress pad that actually fits so your head or feet don’t hang off onto the mattress. It even has straps to hold it in place! Comfortable and supportive. Your brain and body need a cozy place to rest after a long day of classes. We use silky bamboo quilting and gel-infused foam for plush cushioning whether your mattress is lumpy, flat, or anywhere in between. And unlike another dorm mattress topper you’ll find in a big box store, we use durable materials that won’t break down after just a few nights. Cool and dry. Maybe you don’t have the best AC in your dorm room, or maybe you just sleep hot. The great thing about our twin xl dorm mattress pad is that it contains Pure New Zealand Joma wool which is ultra breathable and wicks away moisture. Add that to the cooling gel in our layer of foam, and you won’t wake up sweating all semester. Clean. Last but certainly not least, have you thought about all the germs that lurk in those dorm mattresses used by student after student? Just place DormTopper on top of your nasty dorm bed, and the bamboo knit fabric will combat bacteria while the Joma wool will resist mold and odors. A cleaner bed means staying healthy as you sleep — which means fewer sick days away from class! With classes, homework, jobs and parties, college kids don’t have much time to sleep, but this is one time in your life when it’s important to make time to sleep. 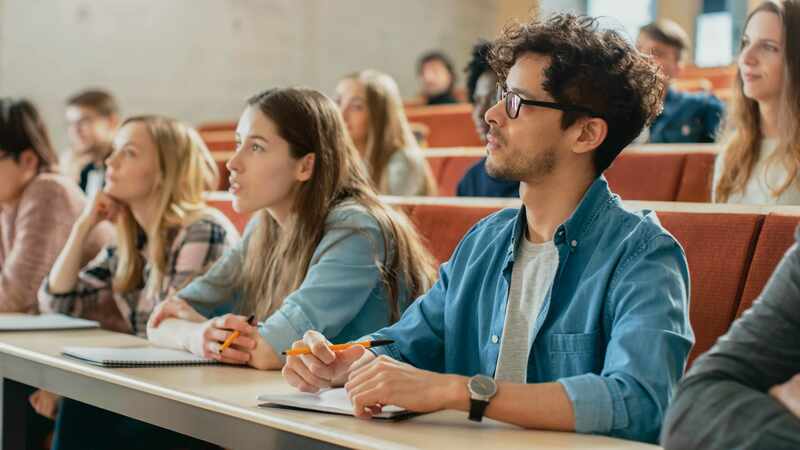 Research shows that losing one hour of sleep per night can cause grades to drop, and 68% of college students say they have trouble sleeping. Instead of falling behind in the first semester, why not get started on the right foot and ensure you have a comfy bed at school? That way whether you find time to squeeze in a nap or you actually try to get to bed at a decent hour, you’ll be cool, dry and comfortable while you sleep. Order the Best Mattress Topper for a Dorm Twin XL Today! We know you don’t have time to shop! That’s why we make It’s easy to have the perfect college mattress topper delivered straight to your door. So start dreaming about comfy sleep today and order your DormTopper now!